Calculated marketing campaigns, glitzy advertisements, and access to credit drives commerce nowadays. But around the turn of the 20th century, when very little coinage was in circulation, trade was facilitated by tokens that, today, are rare Carolina treasures. Commonly made of bronze or aluminum and produced in a variety of shapes and sizes, trade tokens were used by merchants across the country, given as change or bonuses for purchases to ensure return customers. Each was emblazoned with the business’ name, location, and the redeemable amount: $1 toward merchandise at Hampton & Perkins in Linville; good for 50 cents at the Community Store in Brevard; 10 cents in trade at Beacon Cafeteria in Swannanoa. 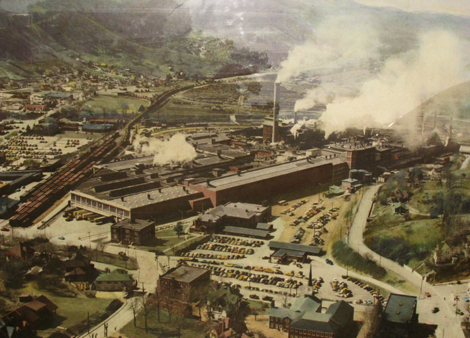 Mills and manufacturers were also purveyors of tokens, including Champion Paper mill in Canton. Like many large employers, the Canton mill sometimes paid its workers in tokens, which allowed employees to buy groceries, clothes, and coal at the Champion Relief Association store. But the tokens also left some workers indebted to their companies because the coins were issued as credit against future wages. By the mid-1930s the coins had largely fallen out of use as it became illegal for employers to pay their workers in tokens. Today, this old-time pocket change is increasingly hard to find, and its value varies tremendously, from less than a dollar to several hundred. Because there are no catalogs dictating prices, many coin and antique dealers steer clear of them, so the collecting fraternity is small. But it’s still possible to own these pieces of North Carolina history—if you can find them. Don Bailey is the president of the Carolina Token Society, a small group of collectors that meets monthly. E-mail Bailey at eladon@morrisbb.net for details.